..OR CALL: 832-463-2625 Rated 4.9 stars out of 278 reviews. When work and home compete for time we end up living busy lives. Time is so precious to today more than ever before. You should love to cross off one major item on your list of things to do shouldn’t you? Whether you are near George Bush Intercontinental Airport (IAH), right off of West Alabama Street in River Oaks or next to the Houston Zoo or north, South or West Houston, Ready Set maids in Houston provides home cleaning and maid services near you. 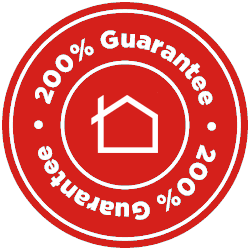 We offer one of the strongest guarantees in the business. Our 200% happiness guarantee. What this means is if you are not happy with the type of cleaning you purchased we will re-service your home free of charge. In in the very rare even you are still unsatisfied we will refund your payment. Call (832) 463-2625 with any questions. Check out our online reviews which speak for themselves and we are absolutely 100% committed to our delivering a quality service. You can find us on OneYellow and ZipLeaf. WE clean your home cleaned with the same love and care you give it – sometimes even more so. Ready Set Maids is the company for you! Ready Set Maids cleans houses of all sorts of shapes and sizes in the Harris County area with a focus on our guiding principals of quality and integrity. We understand that our members busy so we have made everything simple, easy and flexible for you. Our trusted professionals have gone thru a strict vetting process to give you the peace of mind of who will be sent to your home to clean. They are experienced pro’s who will take great care in giving you a five-start experience that we are know to deliver. We designed everything form the ground up for you – our really busy members. It’s super easy to get an estimate and book online. That means no in-home estimates, no reason to call, just book online in less than 60 seconds and continue on with life! You will be amazed with our simple and easy system used to book your cleaning in just 60 seconds. Simply choose your date and arrival window, the number of bedrooms and bathrooms you would like cleaned, choose your add-on’s and additional requests and receive your flat rate fee immediately. Receive additional discounts for scheduling regular weekly, every other week, every three weeks or every four weeks. We do reward loyalty. We take pride in delivering world-class, thorough cleaning services. You can be rest assured that we strive to do an amazing job. We are very confident that you will our service which is why we are willing to put our money where our mouth is. This is meant to allow you to select us as your home cleaning partner with peace of mind. Knowing that we will come back to fix anything that we might have missed is a great reassurance and if you are not fully satisfied we will give you a refund! Our members like you love our service so much that we can offer these guarantees. That’s how confident we are you’ll love us! Just take a look at what people are saying about Ready Set Maids on Yelp and CommunityWalk! I am absolutely thrilled with the service from RSM. I previously had home joy and I was so horrified and upset with their service. I called seven other services and RSM called me back almost right away. Erin was sweet and gave me all the details of what they would do and the price was right where I wanted to pay. They came and did a wonderful job (much better than home joy) and I was so happy with everything. They were even entertaining my 2 yr old (who never left their side the whole time they were here) and now she is excited every time she sees them. I couldn’t be more happy with them. Thank you! The cleaning ladies did a fantastic job. I booked a deep cleaning with specific details for my house. It was really easy to communicate because their follow up is great. I love that they have an arrival window instead of a set time so I that I don’t have to wait for them. They worked very hard and left a nice note for me when I got home. I enjoyed having them to help me in the house. I have already booked again! Give them a try. They are one of the best. Another shout out for Ready Set Maids!! We recently had some construction done at our house resulting in lots of dust and dirt everywhere. They came in and made it look like nothing had ever happened. So fantastic to come home to such a clean house. My husband and I are both professionals with busy and demanding work schedules. The last thing I want to do is spend all of my time off cleaning to make our house a comfortable place to rest and relax. Ready Set Maids and their staff make my time off mine. Love this company! So much so that we are now regular members every two weeks! Houston is a vibrant and dynamic city, and as a part of that, you have a lot of demands on your time. The last thing you want to worry about is getting home to do the laundry and dusting. But of course, all of those things need to be done to ensure you have a comfortable, clean house to come home to each day, and that’s where Ready Set Maids comes in. 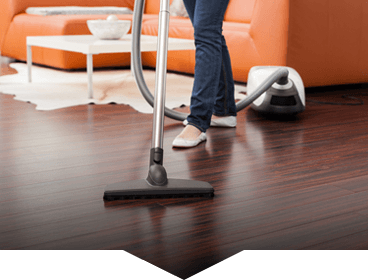 We have a professional staff of experienced housekeepers ready to assist you with all of your house cleaning needs in Houston, Texas. Whether you’re looking for a full professional maid service, or you just want help getting your house in tip-top shape for a special occasion, we can help. Our flexible service plans include apartment cleaning, house cleaning, laundry, utility cleaning, and more. You’ll also have the freedom to choose when and how often our cleaners visit your home, with options like weekly, bi-weekly, and monthly. Another great service we offer is an Executive Housekeeping package that includes professional cleaning for both your home and office. And because our service area extends across our city and into surrounding areas we have you covered even if your house and your office are located in different cities. We know your four-legged friends are a big part of your life, which is why our Houston maid services are pet-friendly as well. We have special equipment and training to allow us to handle the special challenges that pet hair and odors can create, and we’ll work hard to make sure both you and your pets are safe and comfortable in your home. If you’re just arriving then, you may want to take advantage of our special move-in cleaning service, which can give you one less thing to worry about as you manage the transition to a new city and a new home. The team of expert house cleaners we send in for these types of jobs will guarantee that your new home will be spotless and move-in ready, helping to give you a wonderful fresh start. At Ready Set Maids, we take your privacy and security seriously. With that in mind, we designed a special system to track and store your keys, so you don’t have to worry about anyone gaining unauthorized access to your home. We complete a thorough interview process for all new hires, and we run a complete background check as well. We are bonded, insured, and 100% company owned, and we strive for the highest possible quality in every job we take on. Our staff is always available to discuss your options with you and tell you about the types of professional maid services we can provide all over the area. In Texas, we do everything big. We understand as Texans that we appreciate our family and quality free time. 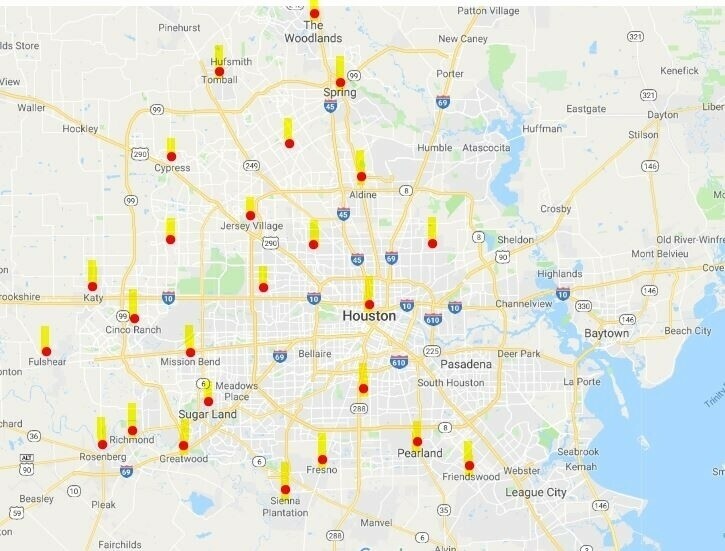 Therefore your company in Houston should probably share those values with you. We believe that quality and integrity are important in all things that we do. Both principals’ should be reflected in our people and our work. We reflect these values each time we come to service your home. Our team is dedicated to delivering a great quality of work all the while being friendly, efficient and taking pride in our work. Our services are designed to be booked easily by you without the need to manage the team. Our service professionals are process driven and know how to clean your home in a way that is efficient and thorough. Hiring a home care team in Harris County does not need to be a headache. Many of our members choose a local and highly ranked company such as ours. They understand that it is a long term relationship and want a company they can count on. What are Your Long-Term Goals for Your Houston Home Cleaning Service? Getting a service to help you with the home cleaning is a very popular choice for many families these days. However considering what you want on a long term basis will save you time and money. You should know that most services will give you a discount for having regular scheduled services such as every two weeks, weekly or even monthly. Based on your family size and how much your work can help you determine your frequency. Most underestimate the help they need and choose the wrong frequency. If your family is large then an every two week schedule is very much suggested for you. If you have pets on top of that then you may want to pay for some extra time that I would take to clean the home. Always try to be honest with yourself of what you needs are so that you may hire what is right for you. If you are looking to save on time from re-booking services it also a great option to your services all set up and automatic. Your payment can be automatic as well as your regularly scheduled day and time. Basically you can set your home cleaning and forget it as it is completed automatically. One other thought to consider is the seasonal aspect of cleaning your house. Spring cleaning is popular for many residents however, so are holidays. More guests’ mean more prep and more clean up and it’s popular to have a service around these times of the year. That way you not only saving time by not having to deep clean your entire home each season but money as well. It is likely that your maids offer an Eco-Friendly or all natural option for the cleaning products that they use. It is usually an add on and it is definitely something we suggest. The products are simply better for your lungs and your skin. The chemicals are proven to be harsh both on your lungs and on your hands. Many of our members have opted out using the old school chemical products. The whole family would appreciate it and so will the environment. For you your family's safety and health are probably the highest concern. It is one of the reasons you have come to the conclusion of hiring a company to help around your home. Time is perhaps another factor for you as well. Many of us view cleaning as a waste of time when compared to what we could be doing to better our selves or our families, and lets face it - many of us don't like to clean either. Since there are many options available, choosing the right team can be challenging. However, there are a number of indicators that can help you to simplify the process. Here are some of the key things to look for when you evaluate a house cleaner in Houston. A worrying number of house cleaning services work with no insurance, and even more operate without bonding. Although accidents can be minimized through judgment and professionalism, they do happen from time to time. Things can get broken, scratched or otherwise damaged. Because of situations such as these, it is absolutely essential for both parties involved that the cleaning business has insurance and a bond. This ensures the client will receive full reimbursement for any damage promptly and also provides some protection for the cleaning business. You should always ask each of the companies you evaluate whether they are fully insured and bonded. You might also wish to request a copy of their insurance certificate and proof of bonding. We are proud to be fully insured and bonded, and we are more than happy to provide proof to any potential clients on request. How do their reviews seem? Online reviews are a reasonably good indicator of customer opinions. Before inviting a house cleaning service into your home, you should search for customer reviews of their services on multiple platforms. Some of the most widely used platforms that have customer reviews include Google, Facebook pages, Yelp, and Angie’s List. You should be aware that online reviews have a natural tendency to be heightened. This is because customers who have the best or worst experiences have the most incentive to write a review, while those with less extreme experiences are less likely to do so. Online reviews can be a powerful tool to assess a service or anywhere else. Unfortunately, some unscrupulous business owners attempt to manipulate the system by creating fake reviews. Where platforms label reviews as ‘verified’, you can have confidence that the reviews are genuine, because these transactions have taken place through the platform. Although it can be difficult to spot fraudulent reviews, there are several common giveaways. If there are many more reviews than normal that have been created on a particular day or in a short period of time, this may indicate that something is amiss. Reviews that share characteristics in terms of length, sentence structure or voice can also be a giveaway. Lastly, on many platforms you can check the activity of the reviewer in question. A reviewer’s profile showing dozens of reviews of businesses in the area over the past few years is likely to be genuine. However, a reviewer’s profile that makes hyperbolic claims about the service and only has one review may well be false. Ready Set Maids' superlative service and dedication to total customer satisfaction is demonstrated in the excellent reviews we have on all of the above platforms. One of the best ways to evaluate a company is to request references from some of their customers. Although it might seem a little awkward, you shouldn’t hesitate to ask references a series of questions about the company. If you have a referee’s contact details, they have agreed to answer questions about their experience in the first place. Moreover, since choosing a service involves giving people access to your home, everyone understands the importance of making the right choice. You should ask questions about reliability, attention to detail, value for money and trustworthiness. Unfortunately, there is always a possibility that referees are not genuine. You can minimize the chances that you are being misled by asking referees detailed questions about their experience. If they hesitate, this is a potential red flag. Our clients at Ready Set Maids love us, and many stay with us for years. We provide top quality help so that our clients can focus on the things that matter most to them. We are more than happy to provide contact details for referees on request.